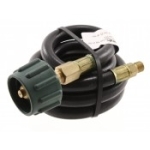 There are a variety of uses for LP gas on an RV. Most often LP gas is used for cooking. 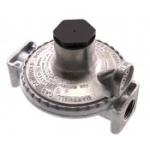 Whether you have a gas stove or gas grill that attaches to the tank on your RV, having a high capacity safe LP gas tank installed is essential. 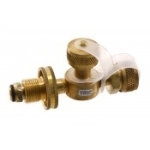 Dyersonline.com has a variety of products for all your gas needs. A great product to have in any RV is a remote propane fuel gage. 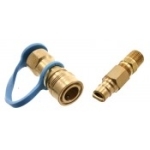 With this small, inexpensive tool you will never be caught unaware with an empty tank. It will alert you if there is a leak, immediately. It will also start to flash at you when you are low on gas and need to refill. If you are looking for a more detailed indicator the GLI gas lever indicator will give a clear reading of how much gas is left in your tank so you never need to worry again. 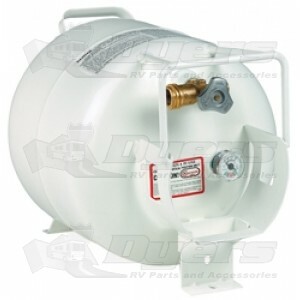 Another product worth investing in is a gas tank cover to extend the life of your gas heater by protecting it and giving your RV a more polished complete look. We carry a variety of sizes and brands so you can find the cover to fit whatever tank you have. A crucial safety device for any RVer is a carbon monoxide LP gas detector. Make sure your gas detector is properly installed and working. Regular inspection is necessary for the safety of you and your family. Leaks are a common occurrence when dealing with a highly flammable and very dangerous substance, caution is always advisable. 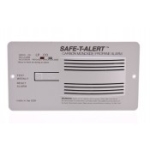 A good carbon monoxide LP gas detector can buy you and your family precious extra time to get away to safety. Don’t take any chance with your loved ones; inspect your detector regularly ensuring you are alerted as soon as possible to any dangerous leaks.